Belize’s growing tourist arrival numbers are outpacing the wider Caribbean region, said Jose Manuel Heredia Jr., the country’s minister of tourism and culture, in an address at an annual tourism gathering held earlier this month. 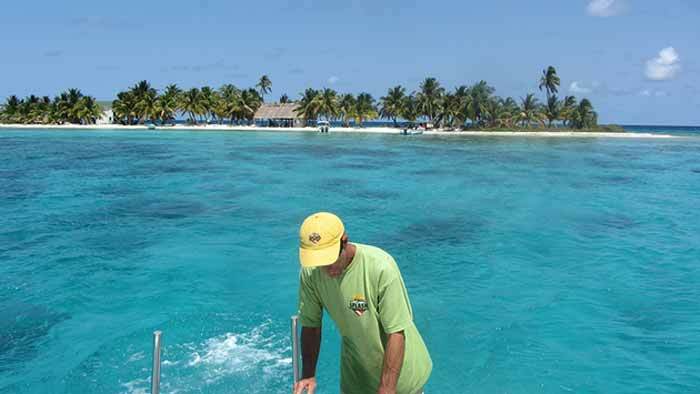 Belize hosted 263,065 overnight tourists between January and November of 2013 (the latest date for which figures are available), a seven percent increase compared with the same period in 2012. Heredia said private investment in tourism in Belize, a destination whose largest hotel has 120 rooms, is also growing. “In 2013, we saw an increase of 21.2 percent in the number of tour operators in Belize and 8.4 percent growth in licensed accommodations establishment, meaning that we now have 1,400 licensed tour guides.” Tourism growth also provides “thousands” of employment opportunities for Belizean hospitality workers, said Heredia. Belize’s 2013 cruise passenger arrival numbers are also trending higher. The island hosted 677,350 cruise arrivals in 2013, a five percent increase over the 640,734 hosted in 2012. Indeed, tourism growth across the larger Caribbean region is not expected to surpass three percent, said Bonita Morgan, director of resources and mobilization development at the Caribbean Tourism Organization. Morgan said some destinations have reported “a flat performance” for 2013. Belize’s growing profile as a tourist destination has developed into a hot-button issue as this small-scale country continues to take small but certain steps toward wider tourist access. Last year, the government announced an agreement under which Norwegian Cruise Line will build a $50 million cruise destination on two adjoining islands in southern Belize. They will reportedly feature a floating pier, an island village with open-air structures on raised platforms, a marina, a transportation hub for tours, a lagoon for water sports and a beach area. Heredia said the tourism ministry has already secured some funding for tourism infrastructure development. “The ministry is also in the process of negotiating other cooperation agreements to support the development of tourism infrastructure with key international partners,” he said. Heredia said initiatives include development of a waterfront strategy for the Punta Gorda district, a tourism development plan for Caye Caulker, a popular local destination for residents as well as tourists, and development of a waterfront strategy for Belize’s Corozal region.